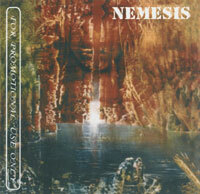 There are several acts named (or formerly named) "Nemesis"
- An early Swedish heavy/speed/doom metal band: They released a few demos and an EP, "The Day of Retribution", before becoming epic doom metal pioneers Candlemass. - An Australian act mixing drone/ambient, noise and black metal. - A Korean rock group: Ha Se Bin (EVE) was in this group before he joined EVE for EVE's 6th and 7th albums. The drummer for Nemesis is also the support drummer for EVE's 7th album. 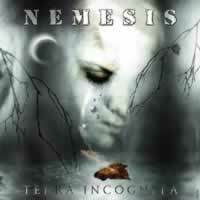 They are in currently in both bands, although Nemesis is on hiatus. - A Finnish ambient electronic band: Formed in 1987 and has released records on Belgian Antler Subway records as well as on Finnish Spinefarm's Freeride label. 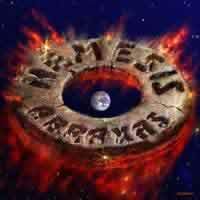 The band is currenlty active, releases are distributed through Synth Music Direct working in the UK and by Nemesis themselves. - A Czech power metal band: In 2006 they changed their name to Symphonity. - A Czech death metal band: They were previously called Aggressor, but later changed their name to Nemesis after a member returned from the military. They were formed in 1989 and are currently active. 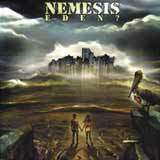 - An American alternative rock band: Previously know as NEMESIS, the band opted to change the name to NEMESIS ARMY to avoid confusion with other acts called Nemesis. - An American pop/dance duo: Nemesis includes twin brothers Jacob & Joshua, currently starring in MTV-LOGO's reality show "Nemesis Rising" (named after their forthcoming album). The first single is "Number One In Heaven," which spent several weeks atop the LOGO "Click List" weekly top ten video countdown. - A Scottish nationalist rockband. 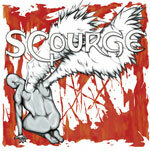 - A polish black metal band from the city Wrocław, formed in 2001. They released two demos: After Dark (2002) and Ruins of Souls (2003). After that the band split up. Ákos Thorday - vocals R.I.P.